I’ll admit it I love my Nutribullet! Yes I know everyone is talking about them, but it really does live up to its hype, as its so easy to use and clean. I especially like the Nutrition manual included in the purchase. With great advice on why its important to include green veg or vegetables in half your smoothie, such as Kale and Spinach as they are far more nutrient dense than fruit (plus they have less sugar) and are important in your diet to prevent illness and cancers. 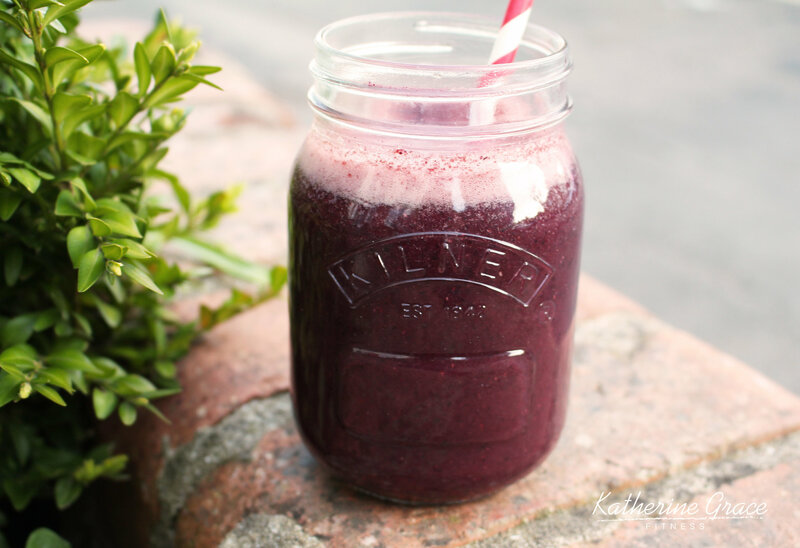 Here is my favourite, Blueberry, Kale and Ginger Smoothie for you! The mixture of these ingredients work so well together. I have used fresh apple juice to sweeten it. Enjoy! Mix it up in the Nutribullet or any other blender you may have and serve!